Joker is a fine piece of artwork. It is 100% hand painted on canvas. 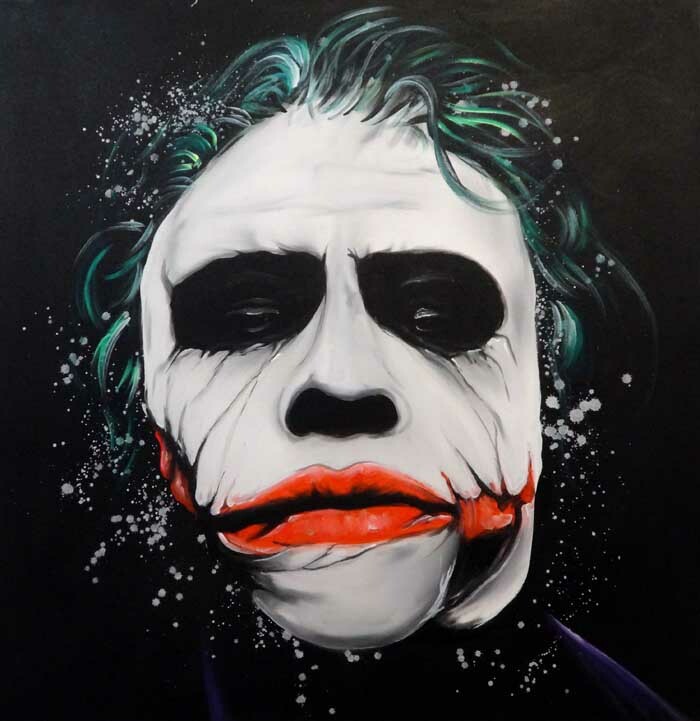 This painting of Heath Ledger as the Joker is stunning. Size 100cm x 100cm. It is available stretched on a frame ready to hang, or as canvas only.